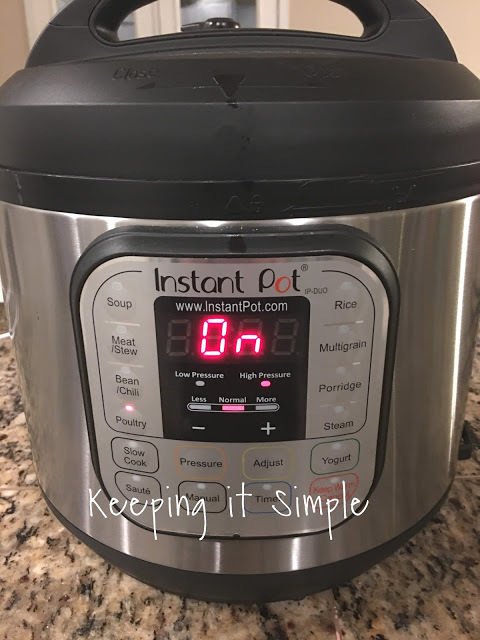 I am still in LOVE with my Instant Pot. It seriously is one of my favorite inventions ever! If you just got one, check out my very detailed tutorial on how to cook chicken in it (there is major hand holding in that post :D). 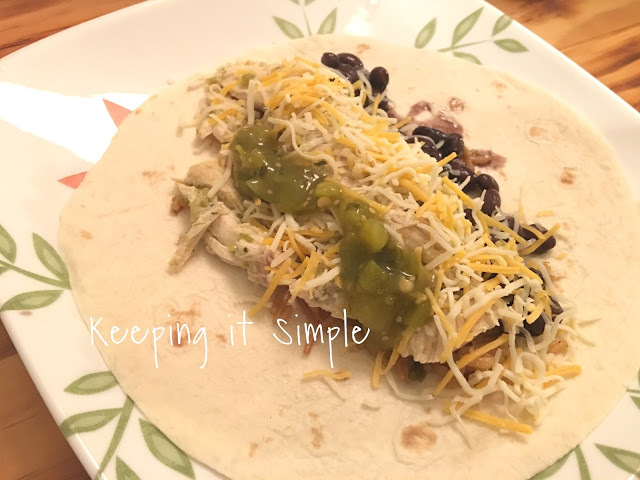 Burritos are one of our family’s favorite things to eat. We just love them and have them frequently, but I like to change up the meat quite a bit. 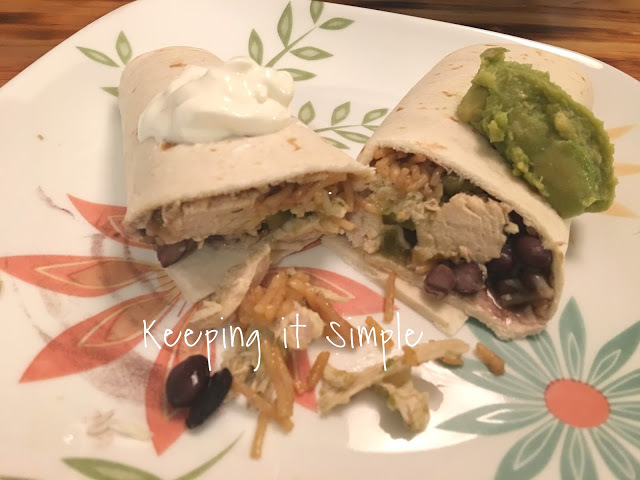 So I love when I find a good chicken recipe that we can make into burritos, and this recipe is my favorite because I usually always have everything on hand! 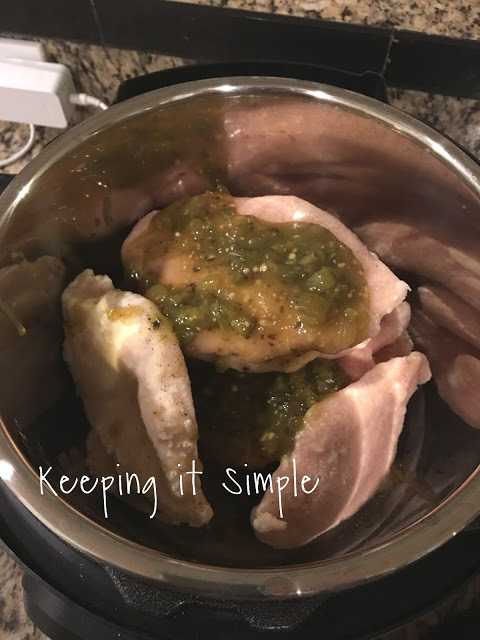 Frozen chicken breasts (yes I put them in frozen, no need to thaw them out). Put on lid, move valve to sealing and then push poultry button and then adjust the time to 15. 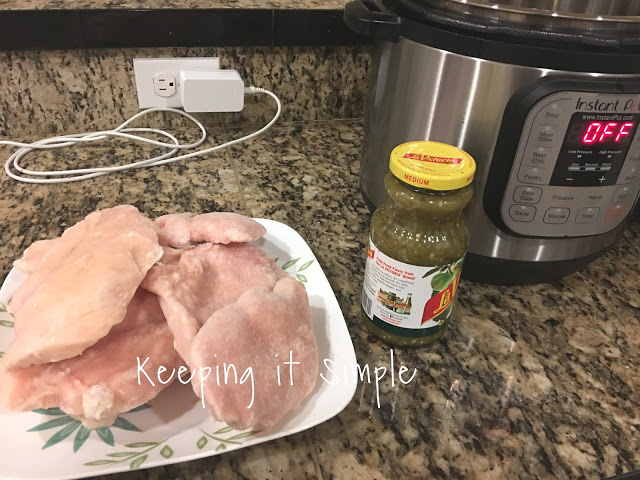 If you have thick chicken breasts you might have to go up to 20 minutes. 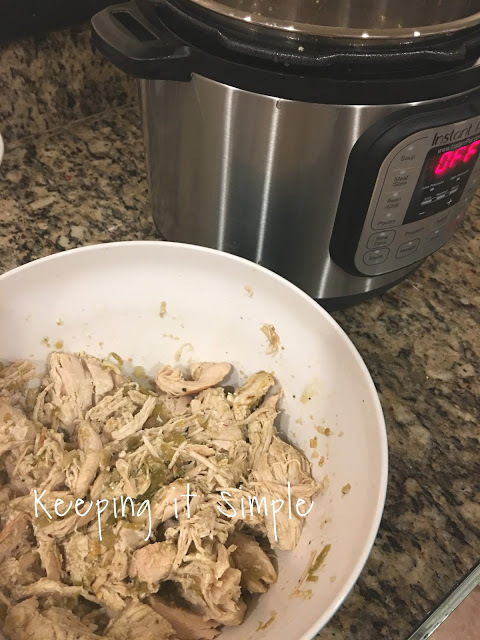 Let the Instant Pot do it’s magic and it’s done in 30 minutes, start to finish! And that’s it! I drained a little of the water and then shredded the chicken. We add black beans, cheese, Mexican rice, salsa verde, sour cream and then guacamole to them. Then are oh so good!! Yum! 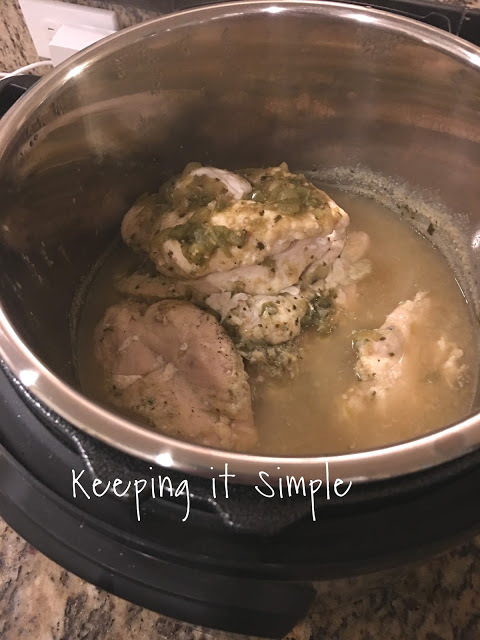 Make sure to check out my other Instant Pot recipes!